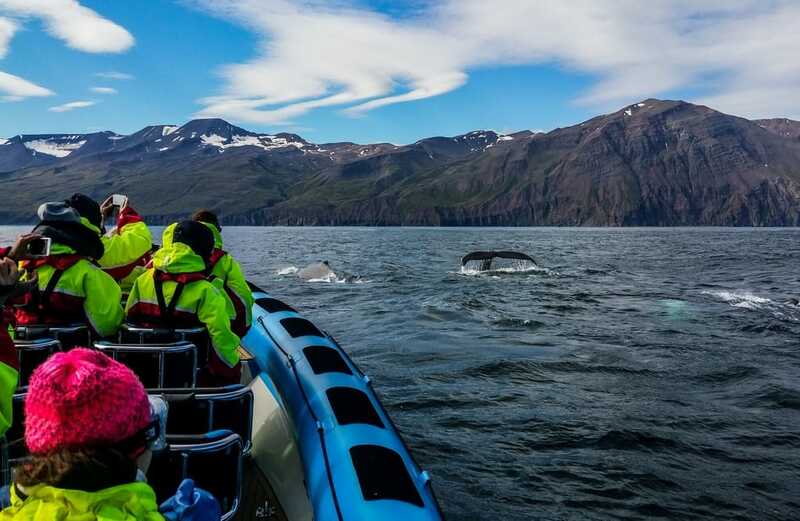 Experience the original Big Whale Safari & Puffins tour from Húsavík – the Whale Capital of Iceland. 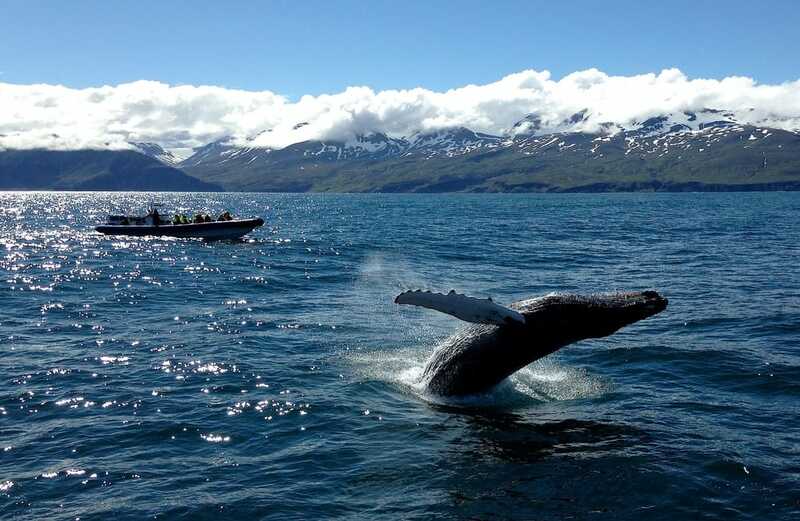 Increase your chances of seeing whales through choosing this 2,5-hour live guided adventure. On our modern RIB speedboats you have an up to 99% chance of encountering whales and enjoy the view of thousands of puffins too. We have more than 150 years of family history in the bay. Included: A specialized guide, warm safety overalls, and a little surprise from Húsavík’s only winemaker. Availability: April 1st – October 31st. 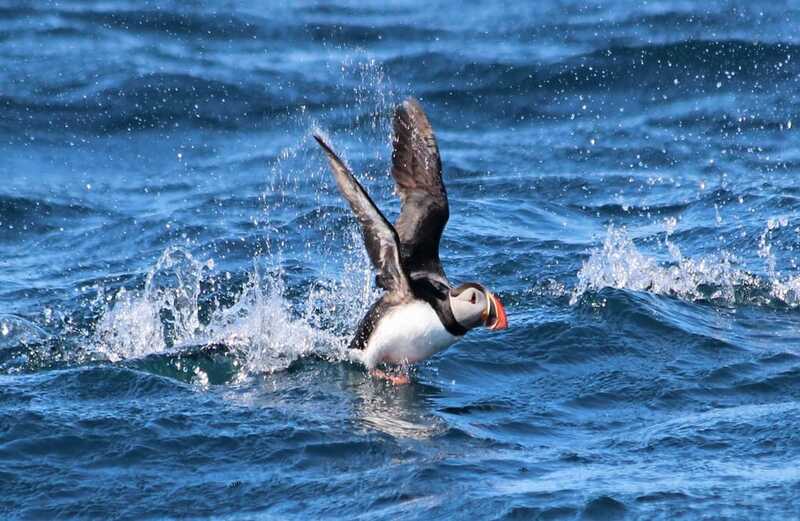 The puffin season is from April 15th – August 20th. 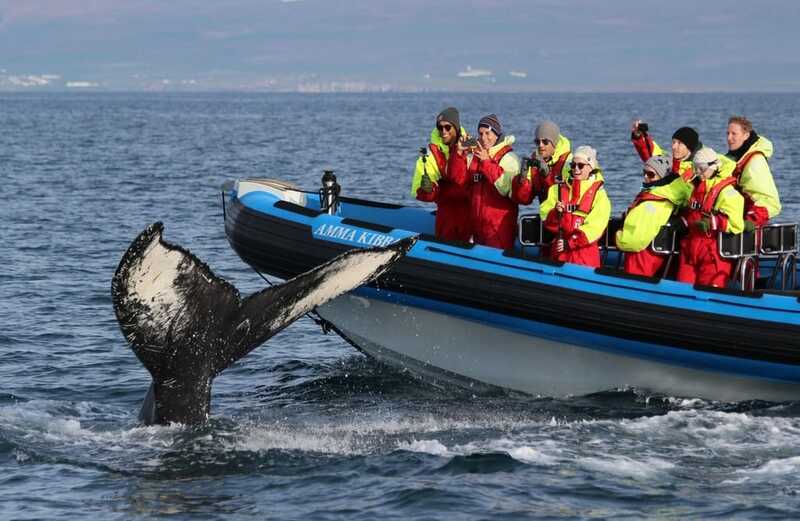 The Big Whale Safari & Puffins is an exciting adventure at sea. 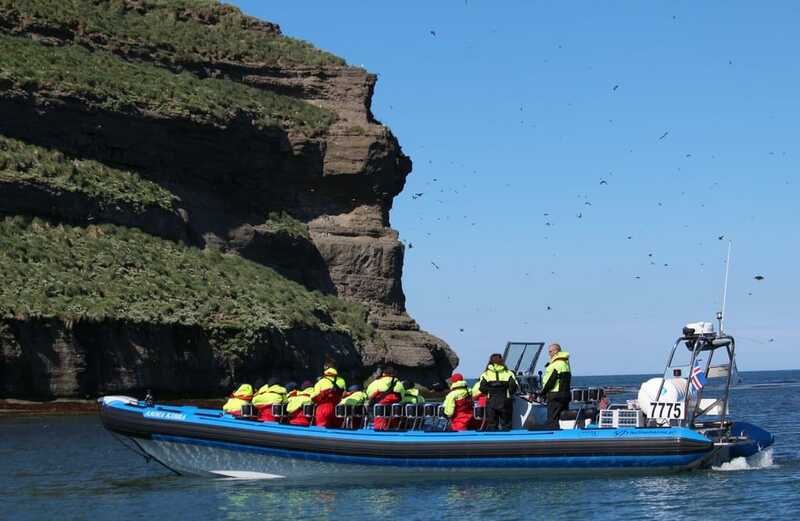 You are ready to head out on Skjálfandi Bay and into spectacular nature on board a modern RIB speedboat after our crew has provided you with a safe and warm overall and a life vest. 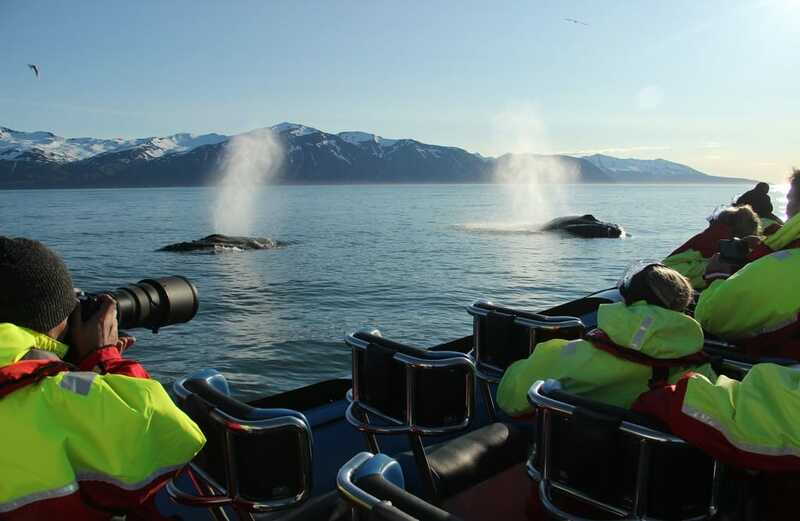 Your specialized guide gives live commentary about the whales, birds and scenery encountered during this unique tour. Thanks to their high speed, our RIB boats can cover more area in a shorter time than other vessels in the bay. 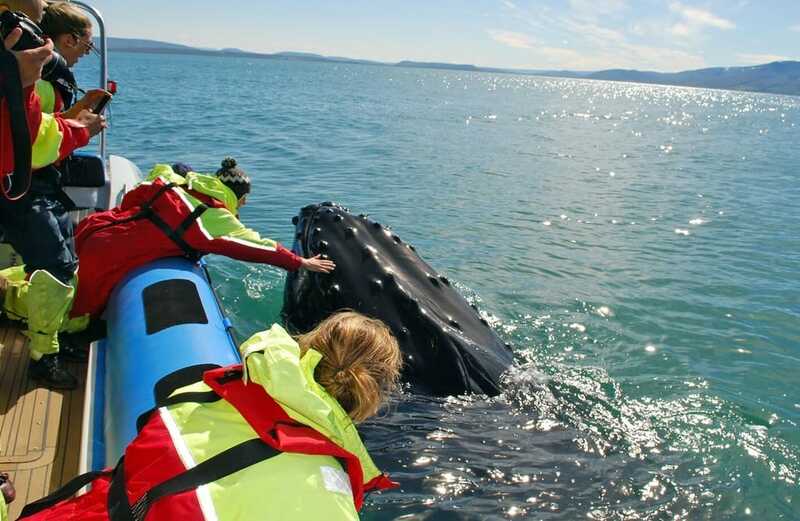 This increases the chances for passengers on this tour to find whales and a bigger number of whales. 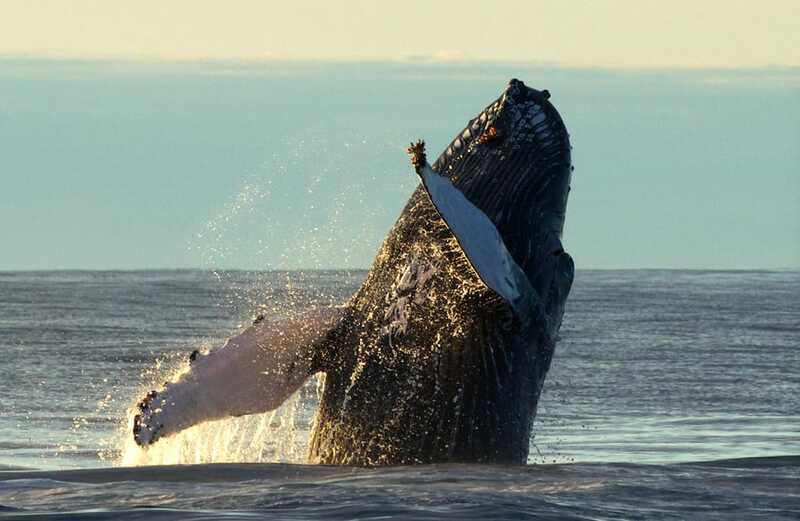 Our bay is well known for its rich wildlife with a broad variety of whale species of all sizes, including the acrobatic humpback whales and the world‘s biggest animals ever, the blue whales. Nature is unpredictable but your chances of seeing whales on this tour are up to 99% – throughout the season. We make a stop by Puffin Island during the puffins’ nesting season (ca. April 15th – August 20th). Here you can see thousands of these colorfully-beaked birds, often referred to as “The Clowns of the Ocean”. In the end of the tour, you will be offered a little surprise from a local winemaker. Gentle Giants is a family run company that is proud of its originality and has more than 150 years of family history in Skjálfandi Bay. 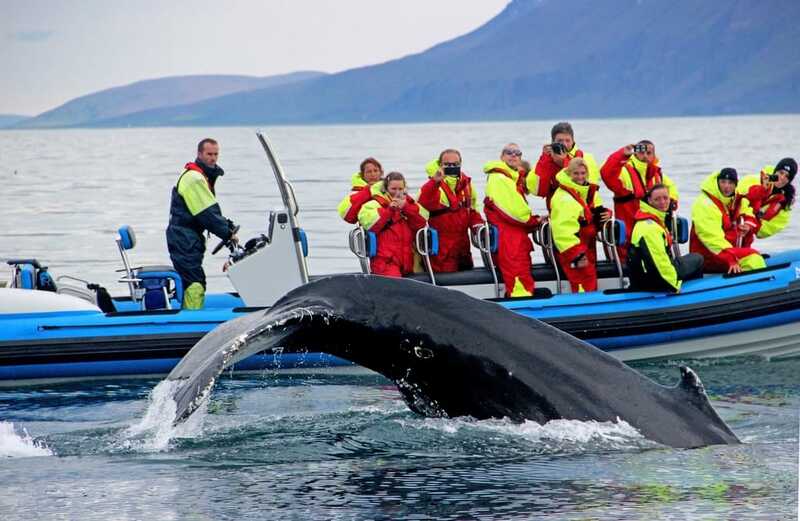 Experience our famous whale watching tour from Húsavík – the Whale Capital of Iceland. We welcome you on board our traditional oak boats for a three-hour live guided adventure on Skjálfandi Bay. Your chance of encountering whales are up to 98% and we have more than 150 years of family history in the bay.